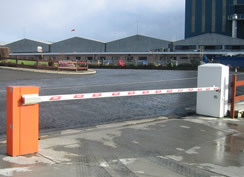 Our Security Barriers or Road barriers as they are often called come in sizes from 2.5mtrs to 6.5mtrs. Our entire range is rated for intensive use. 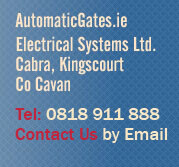 The cabinets have a powder coated finish and the aluminium booms come in both round or rectangular models. Round booms are recommended for areas which are exposed to possible high winds. 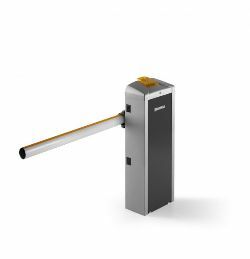 The barriers are designed for intensive use. Usual accessories are also available. - The Barrier is operated by a 24vdc 200watt motor. - Control can be by means of a single push button, Step-by-Step or by means of a radio signal by inserting a radio receiver board. 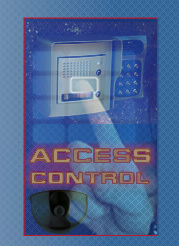 - Manual close push-button or automatic close can be selected. In the case of a mains failure it is possible to connect a battery and charger board if required.